The residential entry winner of Aurora’s Scarecrow Contest has been announced. 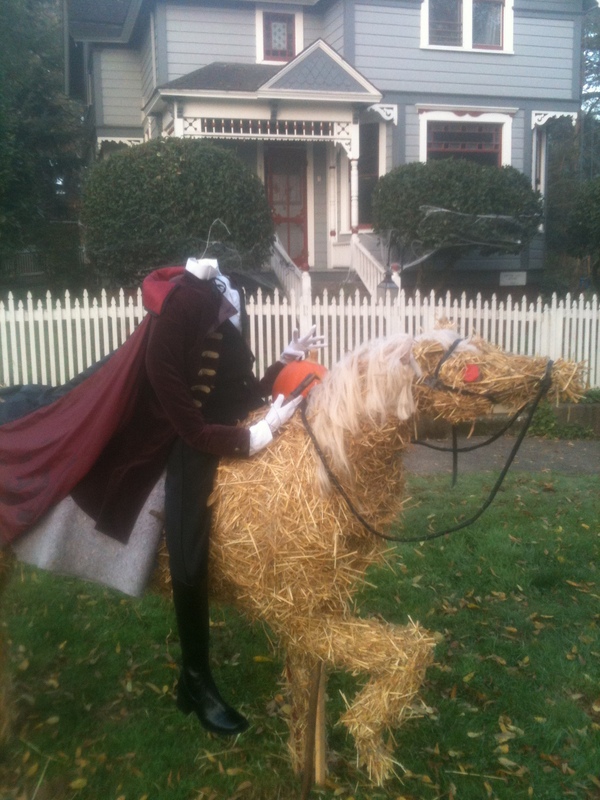 First place was awarded for the Headless Horseman of Aurora at 21513 NE Liberty Street. Click here for a complete review of contest results. Aurora Colony Museum Turns 50!